70. 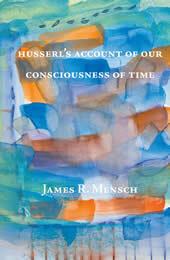 Husserl's Account of Our Consciousness of Time, by James R. Mensch. ISBN 13: 978-0-87462-801-2. Paper. 278 pp. $29. Bibliography. Index. Having asked, “What, then, is time?” Augustine admitted, “I know well enough what it is, provided that nobody asks me; but if I am asked what it is and try to explain, I am baffled.” We all have a sense of time, but the description and explanation of it remain remarkably elusive. Through a series of detailed descriptions, Husserl attempted to clarify this sense of time. This book traces the development of his account of our temporal self-awareness, starting with his early 1905-1909 lectures on time consciousness and proceeding through the 1917-18 Bernau Manuscripts, the Analyses of Passive Syntheses of the 1920’s and ending with the C, B and E manuscripts on time and instincts of the 1930s. Although it covers all the stages of Husserl’s account of temporality, the book is nonetheless systematic in its approach. It is organized about a number of basic topics in the theory of time and presents and critically appraises Husserl’s positions on the issues pertaining to each. 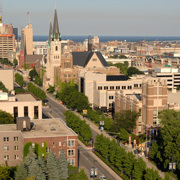 James Mensch is Professor of Philosophy at Saint Francis Xavier University in Nova Scotia, Canada. 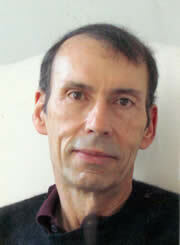 His main areas of research are phenomenology and its contemporary applications. The author of ten books, he has lectured widely both in America and Europe and serves on a number of editorial and research boards.